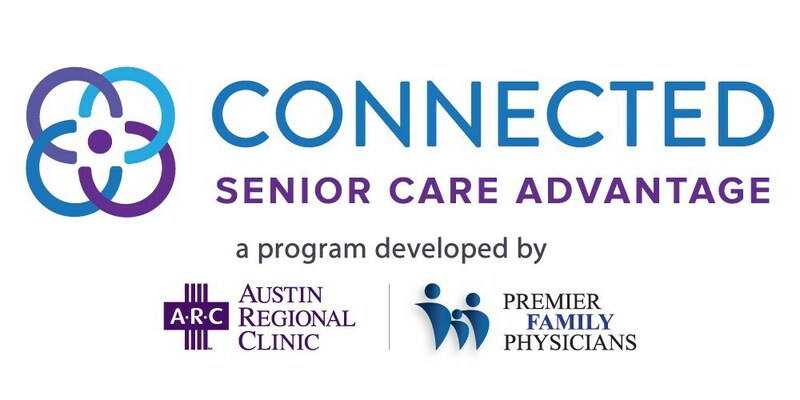 Premier Family Physicians is teaming up with Austin Regional Clinic (ARC) to offer a new Medicare Advantage population health model, Connected Senior Care Advantage (CSCA). CSCA will be offered to beneficiaries enrolling in the Humana and WellCare Medicare Advantage plans listed below. Medicare beneficiaries can explore the benefits offered by these plans during the Medicare Annual Election Period from Oct. 15 through Dec. 7. Additional CSCA health plan partnerships are still being evaluated for 2019 and 2020. 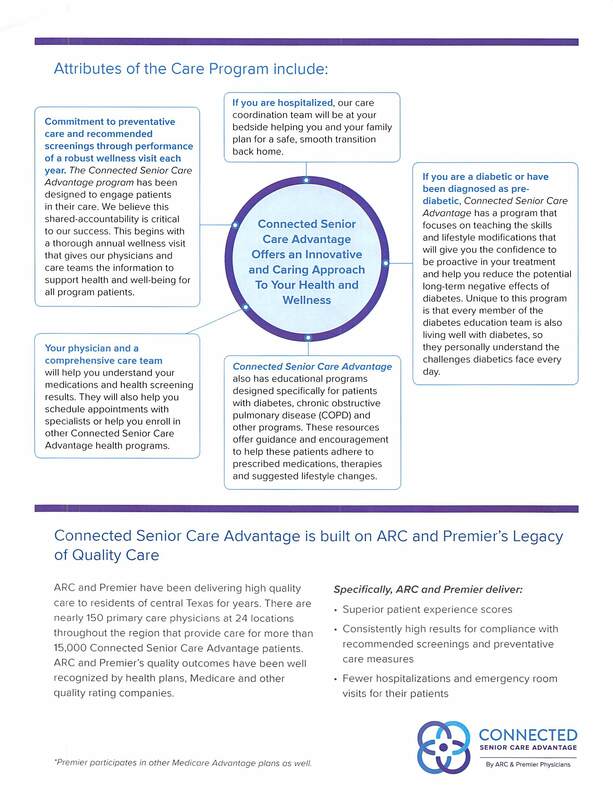 Click HERE or on the pictures below to learn more about CSCA and it's many benefits. 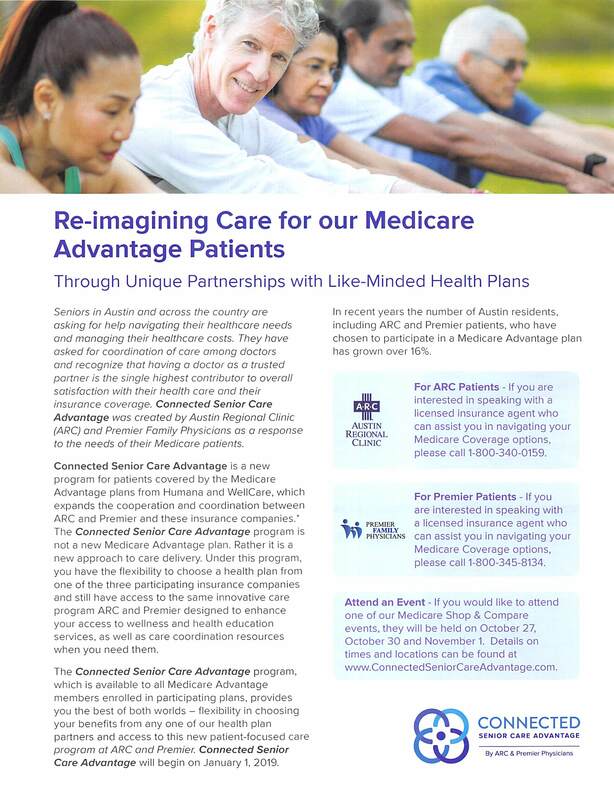 To view a list of the Medicare/Medicare Advantage plans we accept click HERE. If you have any further questions please call us at (512) 892-7076.